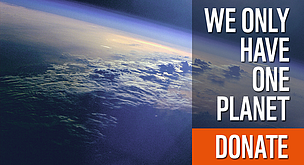 The next Living Planet Report is due to be released on the 27th of October, 2016. 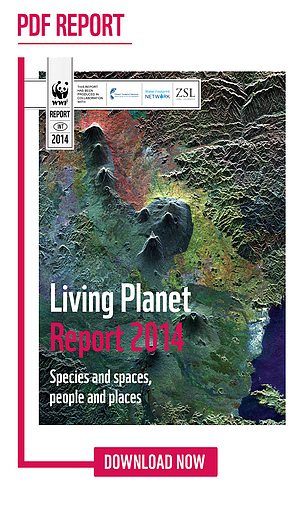 This latest edition of the Living Planet Report is not for the faint-hearted. One key point that jumps out is that the Living Planet Index (LPI), which measures more than 10,000 representative populations of mammals, birds, reptiles, amphibians and fish, has declined by 52 per cent since 1970. Things look so worrying that it may seem difficult to feel positive about the future. Difficult, certainly, but not impossible – because it is in ourselves, who have caused the problem, that we can find the solution. Now we must work to ensure that the upcoming generation can seize the opportunity that we have so far failed to grasp, to close this destructive chapter in our history, and build a future where people can live and prosper in harmony with nature. We are all connected – and collectively, we have the potential to create the solutions that will safeguard the future of this, our one and only planet. Too busy to read the full report ? "We need leadership for change. Sitting on the bench waiting for someone else to make the first move doesn’t work. Heads of state need to start thinking globally; businesses and consumers need to stop behaving as if we live in a limitless world. " The GFN promotes a sustainable economy by advancing the Ecological Footprint, a tool that makes sustainability measurable. Together with its partners, the Network coordinates research, develops methodological standards, and provides decision makers with robust resource accounts to help the human economy operate within the Earth’s ecological limits. The Water Footprint Network is a dynamic a platform connecting diverse communities interested in sustainability, equitability and efficiency of water use.